Yoga for Bigger Bodies offers two retreats a year. If you have never treated yourself to a retreat, I highly recommend it. Our retreats are designed to bring not only rest and relaxation but they provide community and brave space to dive deeper into yoga and embodiment. Every retreat is offered in a tranquil and beautiful location that offers delicious food, nature and access to water. Julie specifically finds retreat centers that accommodate all bodies and is able to recognize the Health at Every Size values. Yoga for Bigger Bodies 2018 Breitenbush Retreat! 17 women came together to create community, love, ferocity, self-exploration and intuitive movement. I’m so grateful to have witnessed such vulnerability and strength. Thank you from the bottom of my heart! Registration is through Breitenbush Hotsprings click to register! Have you been curious about what it means to be embodied? Or how to have more understanding about moving from a space of bravery and compassion? 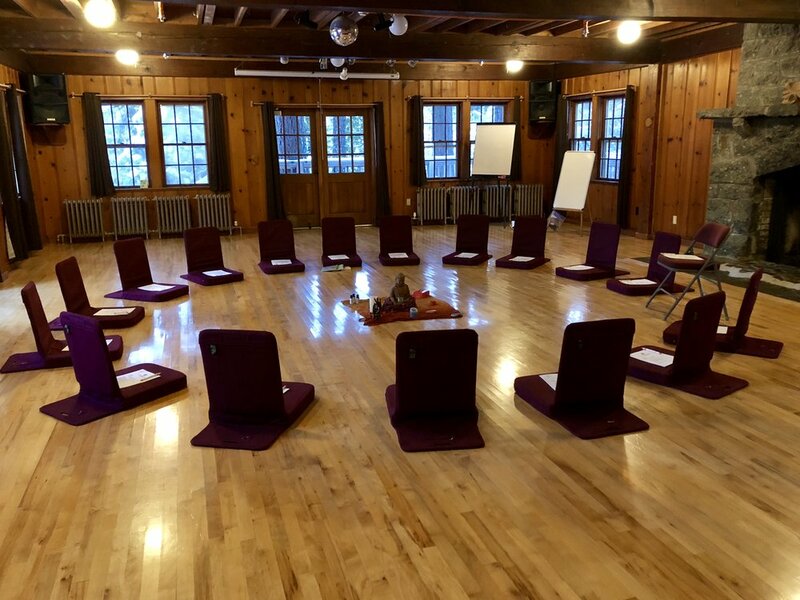 This retreat will help you understand how to better connect and have relationship to your body. Through the tools of yoga, Body-Mind Centering©, ecstatic movement, dance, nature and self-reflection you will gain knowledge and awareness of how to more fully relate to your own bodies movement and language.